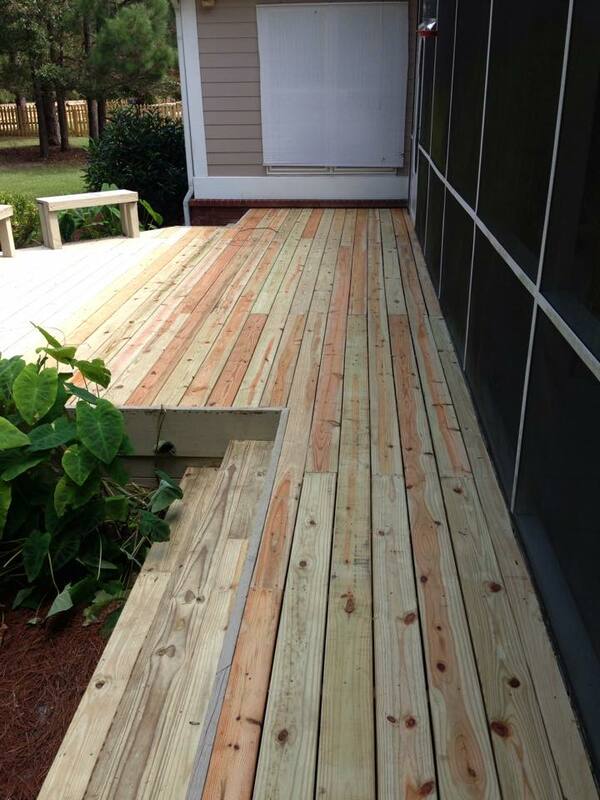 This is a deck repair in Savannah Ga that we recently completed. The homeowner called and said his back deck had some rotted boards and loose boards. Once we took the old boards off the top we inspected the foundation and determined that all of the foundation was in great condition. For extra support we added dry field dirt in between the foundation, as some of the original dirt was missing due to erosion over the years. 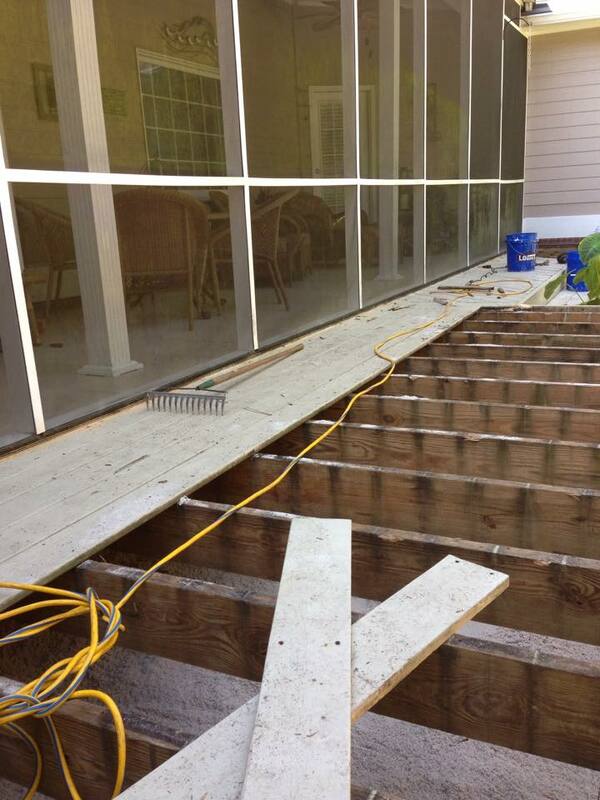 You can also look at this other wood deck replacement job we completed to see how extensive wood rot can be when the deck isn’t properly laid.